those things you need now. 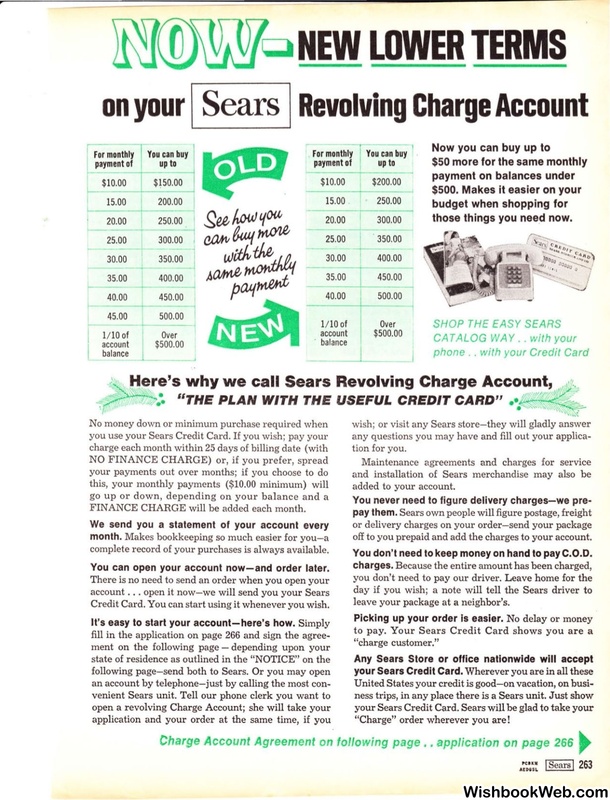 "THE PLAN WITH THE USEFUL CREDIT CARD"
you use your Sears Credit Card. FINANCE CHARGE will be added each month. complete record of your purchases is always available. You can open your account now-and order later. Credit Card. You can start using it whenever you wish. It's easy to start your account-here's how. off to you prepaid and add the charges to your account. You don't need to keep money on hand to pay C.O.D. leave your package at a neighbor's. Picking up your order is easier. "Charge" order wherever you are!